Hazel O’Connor was at home in County Wicklow when I caught up with her, after a long haul from a gig in Taunton, Somerset, including a late-night Holyhead-Dun Laoghaire ferry. That followed eight shows in two weeks for the still-busy 63-year-old, me asking what happened on the ‘Eighth Day’ when ‘machine just got upset’, and Hazel turning Dalek-like as her mobile phone reception plummeted. But she soon walked to a different part of her house, telling me, ‘Don’t panic, Mr Mainwaring!’ And this being Hazel – our last call in 2014 lasted over an hour and the next bill made for startling reading – a long conversation about her dogs followed. While hailing from Coventry, Hazel’s been in the Irish Republic since 1990, and has a base in the South of France too, handy for regular European dates. Now Hazel has another run of shows over here, involving screenings of a digitally-remastered uncut version of her breakthrough film, Breaking Glass, followed by a Q&A, a live band performance, then a special ‘meet and greet’, after just a few days back home. This time it’s the same trio, but with percussionist Josh Blackmore too. The new album is Hallelujah Moments, set to be available (on download only) shortly, but this month’s shows are all about the film that led to Hazel’s big break and changed her life, not only making the lead role in Breaking Glass – released just after her 25th birthday – her own, but also writing the songs. Yet last time she told me she’d barely made a penny from it. Is that still the case? And yet the tie-in LP went double-platinum over a 38-week chart run, songs like the powerful ‘Eighth Day’ and ‘Will You’ still resonating. The interest clearly remains. It’s had a long shelf-life. “Yeah, it’s just a shame that the amount of royalties that came from it would have really reached their peak in the first couple of years, and the record company I was in litigation with for so long kept reaping the benefits of Breaking Glass, even though they went into liquidation in 1987 and had been totally dissolved by 1992. 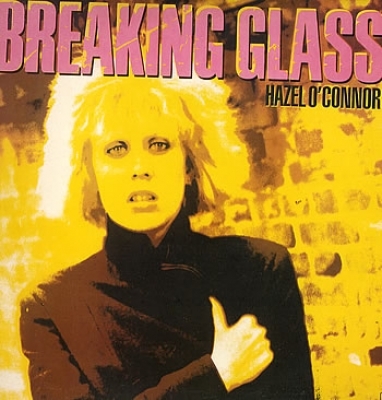 Eighth Day: Hazel O’connor in Breaking Glass, 1980. ‘In the beginning was the word’. Do you remember the first day of filming? Only it was a huge leap for you at the time. “Jeez. I can’t even remember the first day. I do remember the first day we recorded a music scene though. We did many music scenes in the first few weeks, I reckon that was so (writer/director) Brian Gibson could make me feel safe and relaxed. But they called in about 200 punk extras from Brixton to this production village where we were in Cricklewood, and they built this pretend pub, giving the young ones alcohol from 8.30 in the morning. What were your first impressions of your co-star Phil Daniels, by all accounts a Jack the lad back then, fresh off the set of previous hit, Quadrophenia. “I thought he was great. They’d already chosen me as the lead and were giving me the benefit of viewing my potential leading men, so I sat in on auditions for the guy who would play the manager. They told me Phil Daniels was coming in, and I’d seen a print of that film. “He came in wearing one of his Quadrophenia suits, as that was his last job and he’d got his wardrobe, so he had his Mod suit on. He quickly scanned the script he was supposed to speak from, which included the line, ‘Voila, Kate – a new flat!’ And I understand this as I’m dyslexic myself, but he stood there and went, ‘Viola, Kate – a new flat!’ And everyone cracked up laughing. He did it with such aplomb. 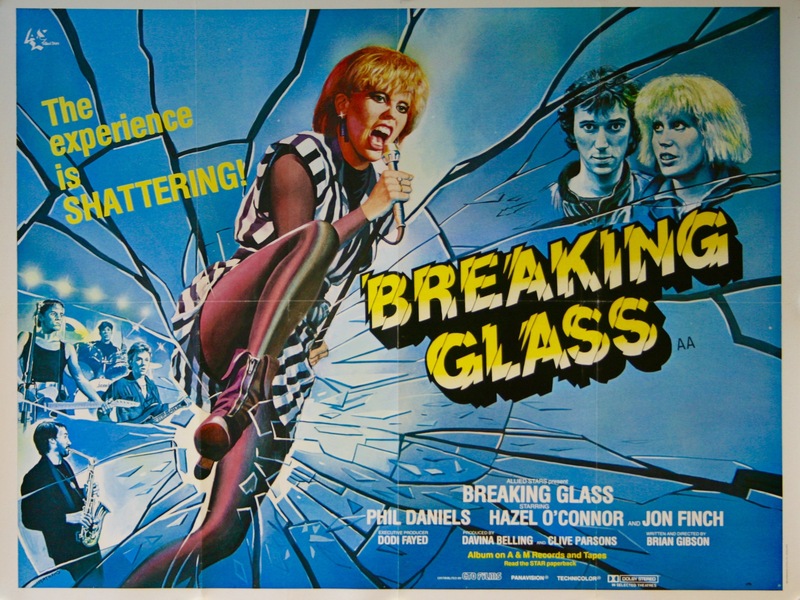 Live Presence: Hazel O’Connor as Kate in Breaking Glass. Phil Daniels’ viola not pictured. How about Jonathan Pryce? There was another big name in the making. When was the last time you watched Breaking Glass from start to finish? Was it a bit too close to home with its subject matter, drawing on a few of your own experiences? 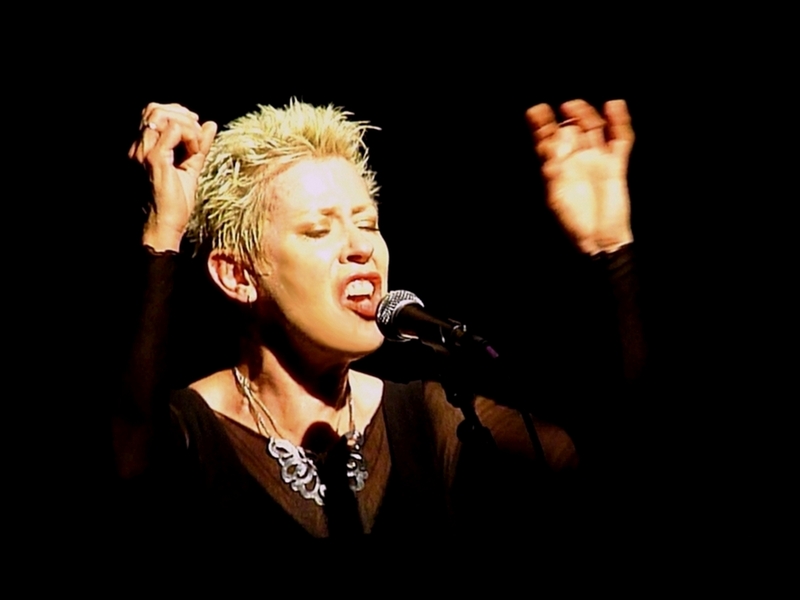 Hands Up: Hazel O’Connor gives it her all on the stage. Last time we spoke, you were out on the road with old friend Hugh Cornwell, the former Stranglers front-man, who funnily enough was another former interviewee I spoke to again just a week or so ago. And like you, he’s still doing the rounds and coming up with new material all these years on. Neither of you are wholly reliant on past material. “I think it’s great if you can make you money as a legacy act. I’ve got nothing against that, but again I haven’t had that fortune to do that. I have to just get on and work. “And I’ve been very lucky to be able to work with Clare and Sarah for 10 years now. I could get lazy, but they push me, and Clare will say, ‘When are we gonna make another album?’ I need that. “This year I made my album in Ireland, because I wanted to do duets with different people, and I invited them to come over and play on it, doing a gig over here to justify them doing that. It was something I wanted to do, and I was off my feet for three months after a foot operation. I wasn’t allowed to walk and was going crazy. That got me thinking about Tony Visconti, who produced the Breaking Glass soundtrack, which kind of inevitably brings me on to the loss of his good friend and collaborator David Bowie since we last spoke. A huge influence on her, and someone she got to know (see the previous WriteWyattUK interview with Hazel for details, not least her past role as ‘hairdresser to the stars’). “Yeah, the whole idea of the evolvement of that artist in Breaking Glass was trying to follow the Ziggy Stardust story in a way, and how the characters slowly become what they’ve created, having lost themselves in the characters they are portraying. “We watched lots of David Bowie stuff just to get ideas, and having Tony Visconti produce the album was just like my dream come true. “But yeah, very sad, and of course Clare played with David, and when it happened she told me, ‘I just thought I’d play with him again’. And with me, I always thought I’d see him again. It goes to show that you can never take anything for granted. “The more you experience in life, the more you have to get clued into the idea that it’s not forever and you have to treasure every single person that you treasure – good and bad, warts and all. Otherwise, you might blink and it’s gone. Well, I was going to ask about you and the Roxy scene in Covent Garden, seeing as The Clash played their part in that, the first to play there on New Year’s Day, 1977. “I wasn’t part of that, actually, but the guy who ran the Roxy, Andy Czezowski, and his wife were friends of mine. They managed The Photons, also including Steve Strange, a band that included an ex-boyfriend of mine. You had a link with fellow Coventry outfit The Specials too, at one point managed by Bernard Rhodes, as per The Clash. It always seemed quite a small scene to me. “Yeah. But there again, once I’d been plucked for the film, the scene kind of disappeared from me. My experience of those Covent Garden days was because of this ex-boyfriend really. Otherwise I’d just go out and see people. I was a fan. I wasn’t part of a scene. When was the last time your home city, Coventry? With time for a few words at the graveside? Have you unearthed much family from your Dad’s side since your Irish move. While we can’t get you to sit down and watch Breaking Glass, what for you would you say was the best music film ever made? “The best music film ever? Cabaret. I don’t like musicals and hate when people burst into song … unless there’s a reason, but Cabaret kind of fulfilled all those reasons and I thought it was really stylised and really cool. “And the other one would be The Rose. I thought Bette Midler was outstanding. Beautiful. And then I’m thinking of This is Spinal Tap. Ha! Actually, I love any films about a band, and any musical films where they’ve made sure the music is not just, ‘I’m going to start singing now!’ is fine by me. 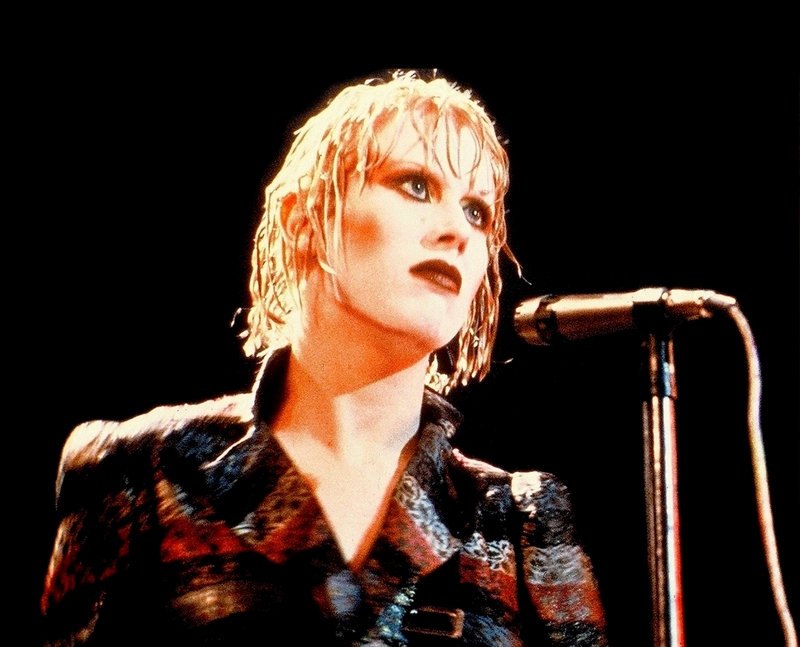 Time Out: Hazel O’Connor, enjoying a few moments to herself before the next set of dates. 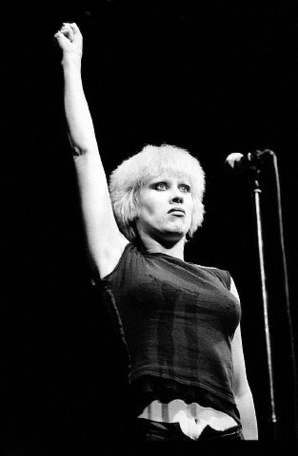 To look back on my November 2014 interview with Hazel O’Connor, head here. And for details of the Breaking Glass tour and news of the new LP, head to Hazel’s website and Facebook page. This entry was posted in Books Films, TV & Radio, Comedy & Theatre, Music and tagged Andy Czezowski, Breaking Glass, Cabaret, Clare Hirst, County Wicklow, Coventry, David Bowie, Hazel O'Connor, Hugh Cornwell, Jonathan Pryce, Josh Blackmore, Phil Daniels, Quadrophenia, Sarah Fisher, The Photons, Tony Visconti. Bookmark the permalink.